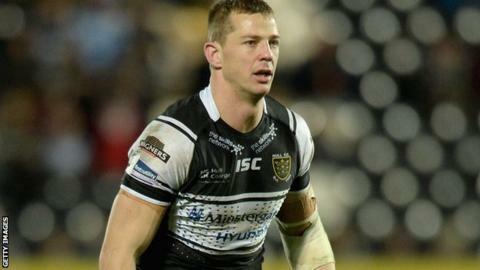 Hull FC half-back Richard Horne has confirmed he will retire from playing at the end of the season. The 32-year-old has played 383 games for the KC Stadium side since making his debut at the age of 16 and helped them win the 2005 Challenge Cup. Horne will remain with the club as the under-16s head coach. "It has been an amazing 16 years, unfortunately though at some point you have to make this decision and it feels like the moment has come," said Horne. "The decision has coincided with the club offering me this role within the coaching staff, which I am extremely looking forward to and I'm glad I am able to stay with Hull to take up this new challenge. "Hopefully I will be able to have an equally long coaching career at the club as I have managed to achieve playing."